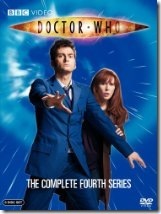 The Hugo Awards nominations are out! I was so thrilled when I saw that Doctor Horrible’s Sing-Along Blog was nominated for Best Dramatic Presentation, Short Form. This is great because they are recognizing web series along with television series. Now comes the hard part… picking only one winner. 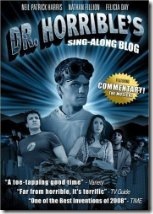 Doctor Horrible’s Sing-Along Blog and two other top picks from the category is “Silence in the Library/Forest of the Dead” (Doctor Who) and “Turn Left” (Doctor Who). This is a very hard pick because I really want Doctor Horrible to win as recognition and validation of web series yet “Turn Left” deserves to win since it is the best dramatic presentation out of the three. Some other categories with difficult picks. Best Dramatic Presentation, Long Form: The Dark Knight vs. Hellboy II vs. Iron Man. The Dark Knight will probably garner an undeserved win due to the last 20 minutes of the film which is a shame since Iron Man is the best dramatic presentation. Best Graphic Story: The Dresden Files: Welcome to the Jungle vs. Girl Genius, Volume 8: Agatha Heterodyne and the Chapel of Bones vs. Serenity: Better Days. I’m going to have to give this one a lot of thought they are all deserving of best graphic story. Which one will you vote for? Newer PostWill Chris Pine ruin The Green Lantern?